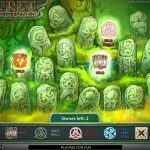 Netent, one of the leaders in the field of online casino gaming, has a new slot that has a very entertaining and distinctive mythical theme to it. 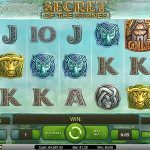 This Secret of the Stones slot review looks into the appealing arrangement that comes with playing this memorable and attractive game. The artistic design of this game makes it one of the more popular ones to look for but there are many important points for the game that make it one of the most essential to see. 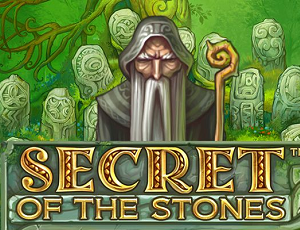 The first thing to notice about Netent’s Secret of the Stones game involves the mythical look to it. It is set around a mystical garden area with plenty of rock formations all around the place. The mysterious wizard is a key part of the game. He appears as a major wild symbol that leads the player to some of the best payouts. 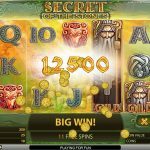 The trees around the game especially get people closer to some added bonuses including the change to win big off of some extra spins all around. 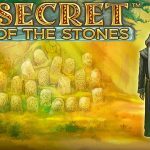 This Secret of the Stones slot review certainly shows that this is a game that has many attractive points that add to the unique nature of what is offered but there are many other things to look into when getting this game up and running. 25 lines are included on this game. 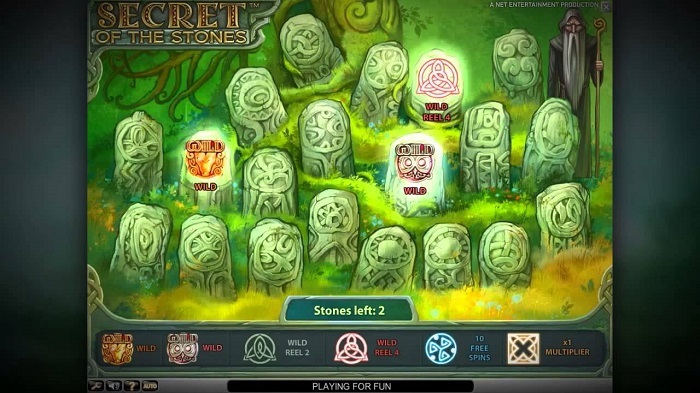 The bottom-left part of the game screen gives players the option to choose the number of lines one wants to play although the individual cannot just choose individual lines to get rid of at a time. The player can also adjust the betting level being used. Up to ten coins can be used on each line, thus resulting in a maximum of 250 coins to be used in a turn. The coin value goes from 1 to 50 cents for each one. This is divided up by a few intervals in between to give players a chance to win something big. This game does have the same autoplay and max bet buttons that any other machine would come with. But it is important during any turn to look at how the symbols come about as there are a few good ways for anyone to win while playing along here. In terms of those lines, they are found all around the entire playing field. They cover an extensive number of bends ranging from straight horizontal to some diagonal ones. The variety is relatively great but the best payouts that are found in this game are always important to look into. The icons that feature the basic animals are clearly worth more than others but there are a few particular ones that will actually do more. The golden tree is the scatter and can appear at any point in the game. The wild symbol comes in a few different forms. The old wizard is the main one to look for although a few of the animal symbols in this machine do appear as wilds. This adds to the overall fun of the game and creates a more outstanding look all the way around. When three or more scatters show up on the same round, the player will get ten free spins. The wizard can expand to cover an entire reel. That is, the wizard can turn it into a wild reel. This is a feature that occurs randomly and is more likely to happen during the free spins. 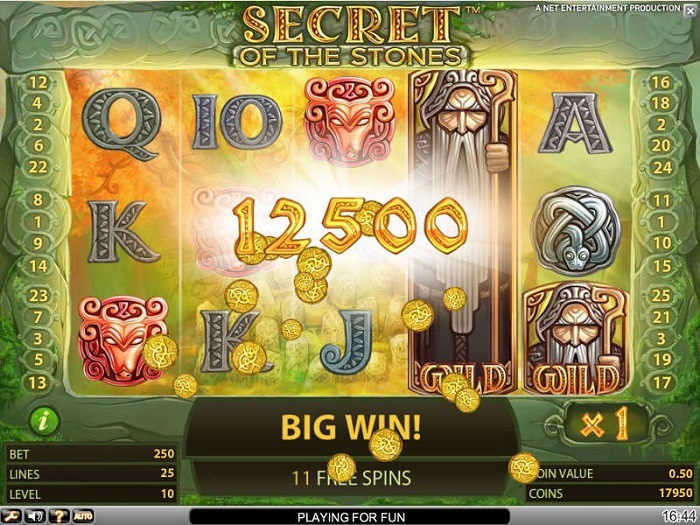 After getting the free spins, the player has the ability to get into a special bonus game. This allows for a certain number of stones to be chosen in a field with the number to be chosen varying based on the number of scatters that appeared at a given time. 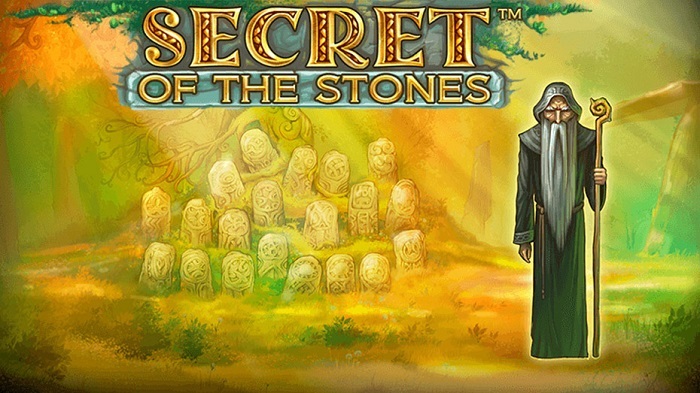 The stones will reveal extras like a few more extra spins, a multiplier to double the payouts during those free rounds, the second or fourth reel becoming a wild one or even a few added wild symbols showing up during each spin. The bonuses are great for how they give players more chances to win something huge. A player’s efforts are especially worthwhile considering how the game in general has some strong ways to win. The bonuses are always good to spot for how they cover many ways to win and especially give off some real fun to anyone looking forward to something entertaining and distinct. The highest payout on this game is 350,000 coins. This will appear after getting a certain number of specials during the bonus round. This is typically a tough jackpot to attain but it can give out a huge total if used well. In terms of the basic payouts, five deer symbols will offer 1,250 coins. This is the most valuable of the animals that will appear during the standard game. The deer is actually one of the animals that will become wild during the free turns with the owl being the other. Seeing how valuable those are, the chances for a player to get the best possible payouts in this game will be even higher. Naturally, people are encouraged to bet more on each spin in the hopes of getting some larger payouts. The chances that come with getting higher total wins are going to be the same no matter what one might bet but the potential to win something great is still pretty noteworthy in terms of how a game can be run. 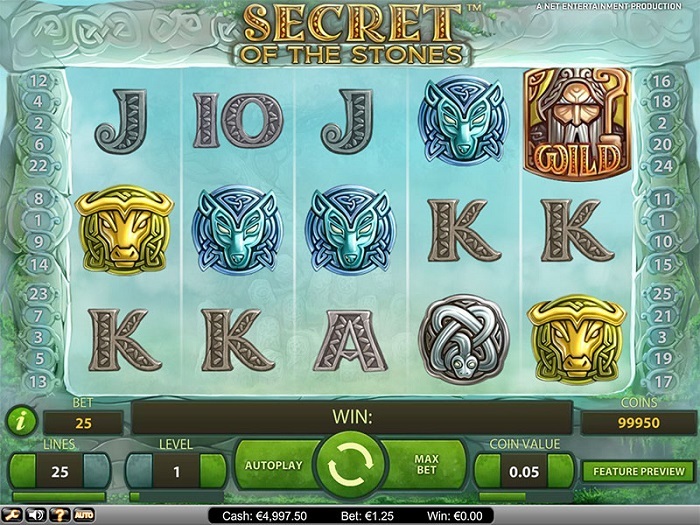 This Secret of the Stones slot review provides that it is certainly one slot that will give out more ways to win. 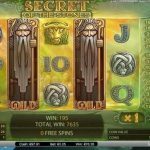 The mystery surrounding the game is palpable but the possibility that comes with winning a big jackpot is certainly something that deserves to be noticed. 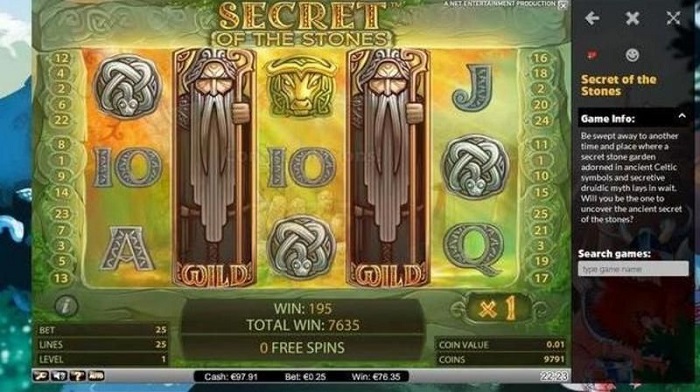 Check out this fun game at any online casino that offers Netent games.